Field Drainage Issues? - Rust Sales Inc.Rust Sales Inc.
Rust Sales, Inc. is your drainage and tiling expert offering a full range of products to solve your water issues. 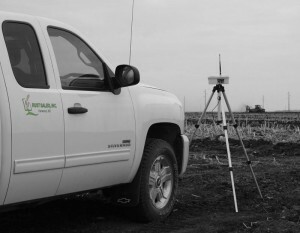 We sell Ag Data Mapping Solutions software from GK Technology, which allows you to see your field’s topography, and pinpoints drainage deficiencies. You can then design surface or sub-surface drainage solutions. For surface drainage solutions, we offer earth movers from Ashland and Toreq, as well as the B.I.L. Box Scraper. Install sub-surface Prinsco Drain Tile yourself easily with our robust tiling solutions, including the frame-mounted Crary Tile Pro Tile Plow, and the Liebrecht pull-behind Tile Plow. For accurate control of your tile plow or scraper, utilize a precision laser system or an SD Drain RTK-GPS system. Rust Sales, Inc. distributes water management software for ditching, tiling, and land shaping; and we offer different rugged Panel PC options for your cab. Rust Sales, Inc. has all the products you need to successfully diagnose and solve your drainage problems. Call our experienced Sales Team at 800-478-7801 or 701-282-9194 for assistance on your project.